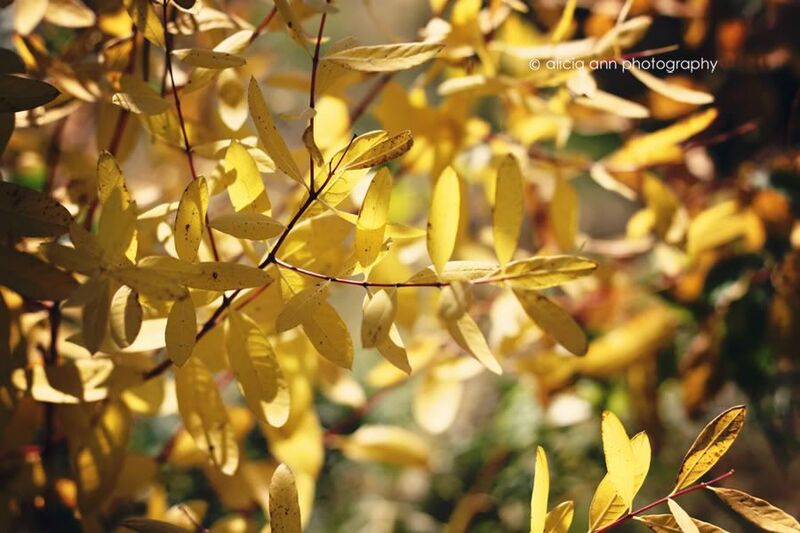 To me, yellow is synonymous with Autumn. Bright. Happy. And the perfect complimentary color for those reds, oranges, and browns. It has many facets to it's character. A golden personality if you will. It can be striking against a blue sky or dark trunk. It can be sweet and delicious. It can be contrasting and bold. And definitely warm and inviting. Autumn wouldn't be the same without it. In case you missed it, here's a 4x6 freebie. Grab it here. I'm compiling all of my favorite quotes. Feel free to join me. Next week’s theme will be orange. For a complete list of upcoming themes, head on over to the Shades of Autumn Photo Challenge Page. Thanks so much for stopping by! 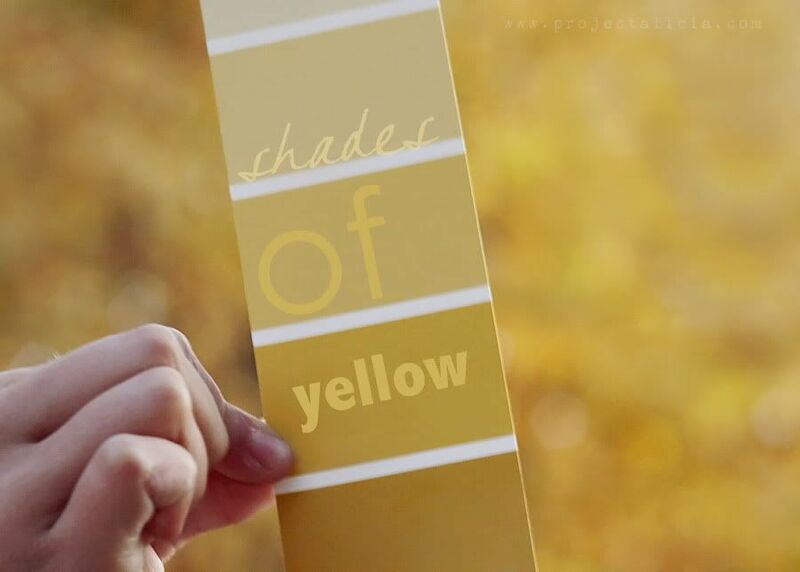 Can't wait to see your yellow pics! 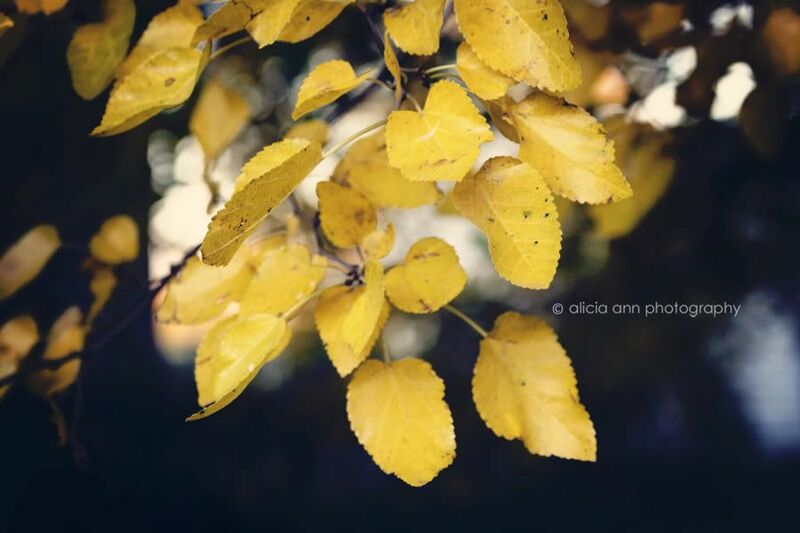 I am just in love with all your yellow photos! Wish we had more fall colors to work with here. These are all beautiful. Your corny one made me laugh! 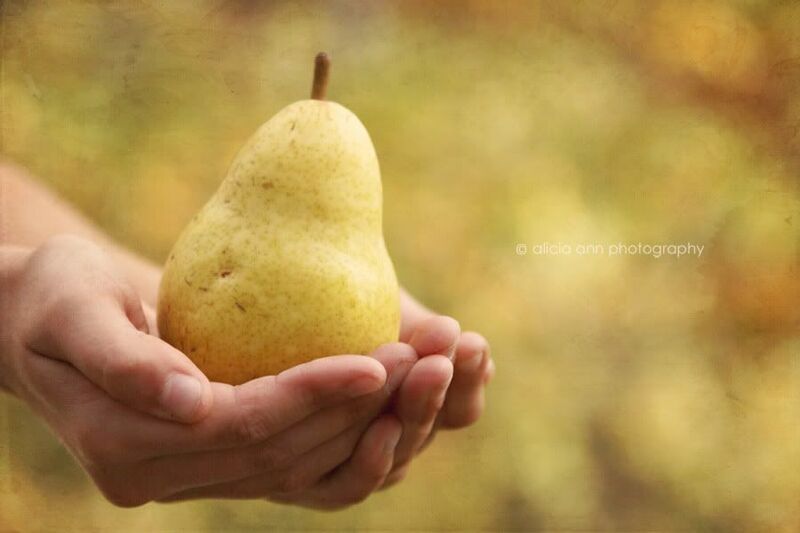 Beautiful, I love the hands holding the pear! great shot! Did you add texture to that shot, or is that just how the background looked? Alicia... my goodness woman! You capture the most beautiful pictures! 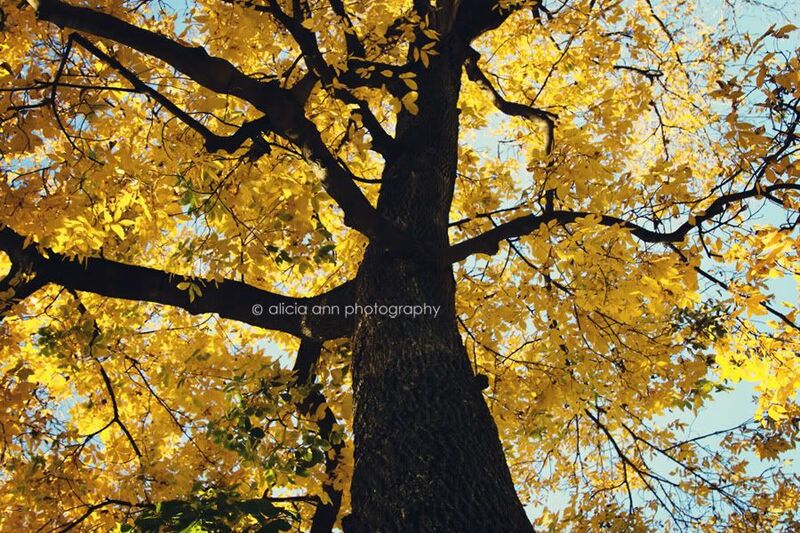 Yellow is my favorite color, I'm inlove w/ all of your shots! I love your yellow photos.. the corn is my favourite shot. I love the textured background in your pear shot! :) Beautiful captures! It is shaping up to be a fabulous collect of color this week too and it is not even 6am. Lovely series of Yellow inspired images, I love the pear and smiled when I saw it was your choice on your thumbnail. Stunning. I LOVE these Alicia! What a good idea with the pear too (and that first one!). I need to start getting a bit more creative with my shots, haha. That tree is magnificent! love all your shots! I love all the yellow you've found - need to find some of my own! That second shot - WOW- Magnificent!!!! Your photos are breathtaking as always! You give me something to aspire to. Love how the paint chips meld so perfectly with the background. Beautiful series and your quote is so true! I like the pear - it's unexpected but it fits in so well! I really enjoying this challenge. Thank you so much for hosting! So fun! I love this contest (and entered twice!!). Fall is absolutely my favorite time of year. This is my FIRST year being a New Englander and I've been anticipating the start of this season to see all the beauty I've heard about. So far, I'm not disappointed! Oh, so beautiful and so creative! Very inspiring! Gorgeous! You give me something to aspire to, Alicia. Maybe one day... with a tripod... and someone to look after my preschool-aged distraction, I will take a photo as beautiful as these. :) Thanks for visiting my blog and commenting. I'm happy to be participating and will definitely do my best to participate in the future! WOW! These are seriously gorgeous! Love them!! What great yellows! I love the corn. Love your yellows, the pear photo is my favourite. 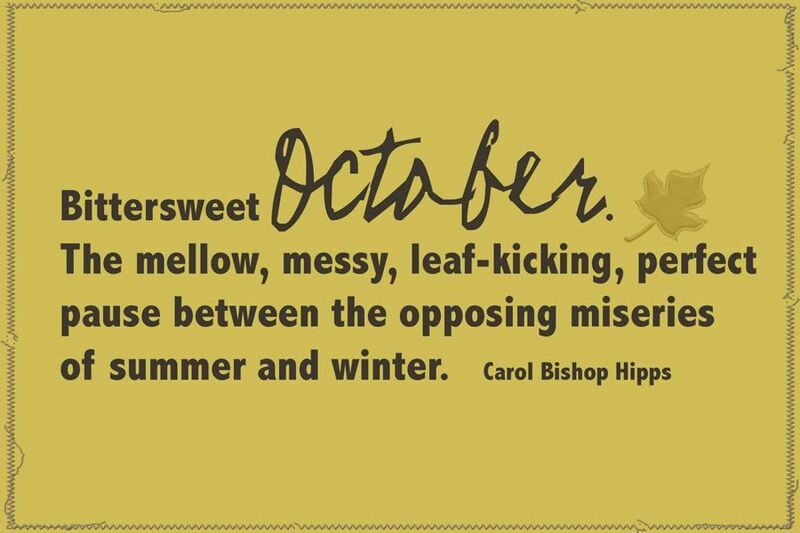 Thanks so much for being part of hosting such a fun fall meme, and thanks for your kind comments at my place! Such great captures! 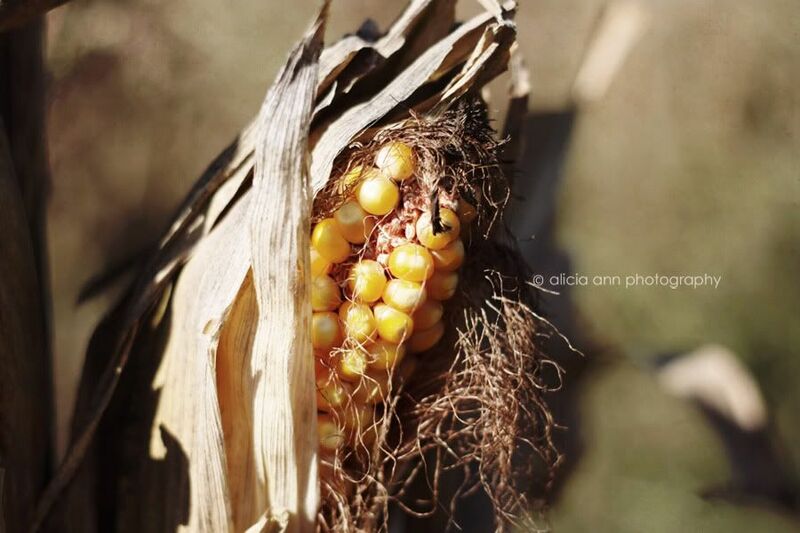 Love the ear of corn. I love those leaves against the blue sky - gorgeous shot! I love the pear - so simple yet beautiful! Amazing shots. So perfect. I'm hopping around drooling over everyone's gorgeous photos above!! I would hang the pear photograph on my wall... I really like it! Nice job! Stunning photos and I love the quote :o). Thank you for sharing! I love the pear! the delicate-ness of it!! As always, you have gorgeous photos! Hope the home hunting is going well! WOW! These are absolutely amazing!!!!! Especially the pear! This is the first time I wished we had seasons in Florida ( I will take that back as soon as it gets a bit cold). Lovely fall shots.. they are amazing captures. There pear photo is also my favorite! gorgeous and so simple! !